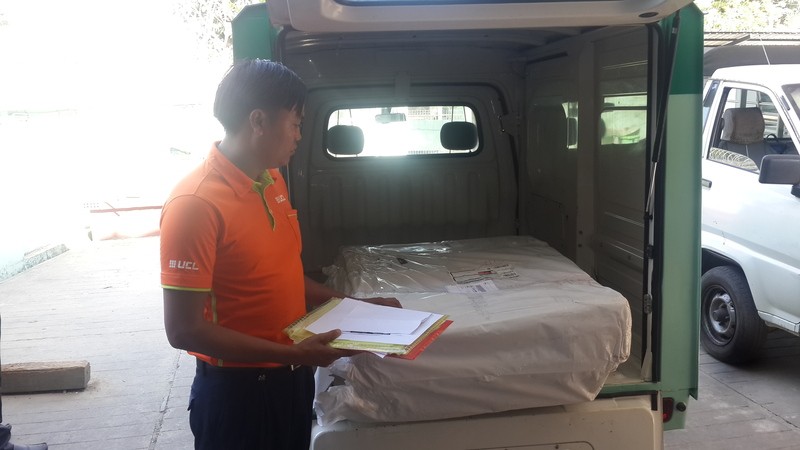 UCL International Courier Services offers worldwide services as Authorised Service Contractor of UPS over 248 countries and territories since May 2015 in Myanmar. Customers are available not only documents but also parcels (samples, spare parts, equipment, machinery, and general commodities) can be delivered to Africa, Asia Pacific, Europe, U.S., Canada, Latin America and Middle East with highest speed and clear track and trace service is also offered. Airport DCA-Taisei compound, Yangon International Airport, Mingalardon Township, Yangon, Myanmar. Room No.42, Building-4, 2nd floor, Myopya Housing, 8 miles, Pyay Road, Mayangone Township, Yangon.